Homesteadbank.com has become Homestead.bank to bring enhanced security to your online banking experience. Forget your username? | Forget your password? You can learn more, register your account or try a demo of our online banking tools. 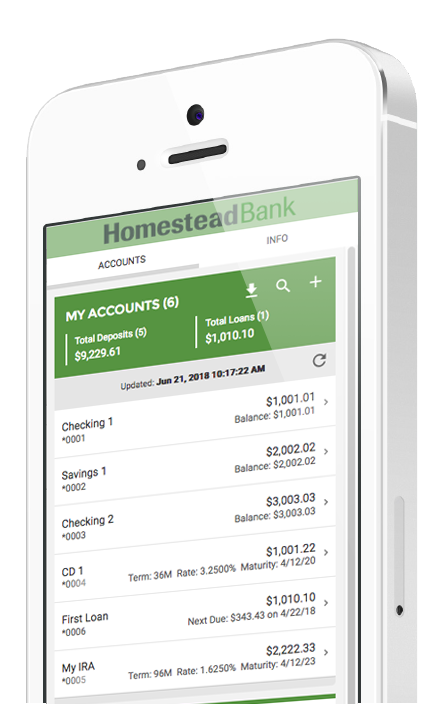 Make a deposit from your smartphone with photos of your endorsed check and the Homestead Bank mobile app. It’s convenient and secure! We take a common-sense approach to consumer agricultural and business banking. Our common sense approach to banking has helped us stay fiscally strong, standing the tests of time, economic downturns, and weather. As a result, we’ve continued to grow with our communities, taking pride in the fact that so many consumers, farmers, ranchers and commercial businesses have turned to us for financial assistance. 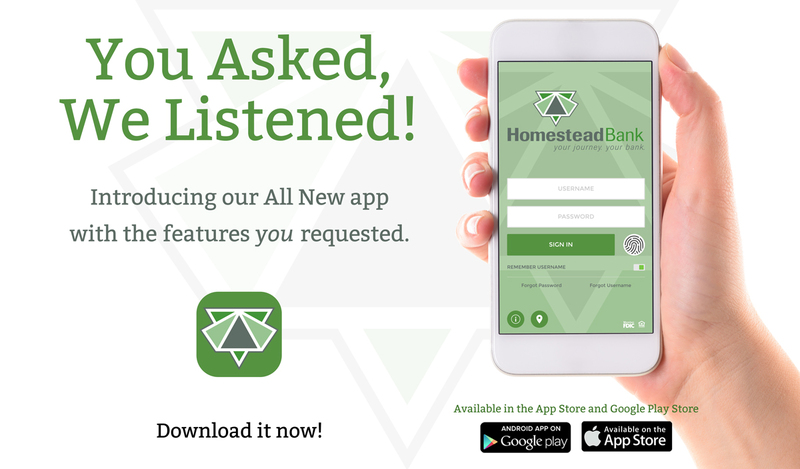 Homestead Bank's new & improved app is here! Click one of the links to download it now! Links to Facebook will take you outside of this website.